Confidence in people, processes and technology is critical to building a secure digital world. Only about half of medium and large businesses in key sectors say they are building resilience to cyberattacks and other disruptive shocks to a large extent. And fewer than half of them say they are very comfortable their company has adequately tested its resistance to cyberattacks. In an increasingly technologically-driven and interconnected business community, companies have the responsibility to take the necessary steps to manage digital risk. Despite the importance of protecting against cybersecurity threats, PwC’s Digital Trust Insights survey has found that businesses of all sizes are equally unprepared to address these threats and protect themselves and their customers. Digital Trust Insights is the reimagination of the Global State of Information Security® Survey (GSISS), a worldwide study by PwC which for 20 years has served as a trusted resource to navigate the turbulent cyber risk landscape. This year’s survey presents the views of 3,000 business leaders across 81 territories and a range of industry sectors. 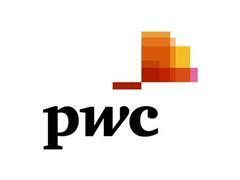 "The vision of PwC's Cybersecurity & Privacy practice is to help build trust in a digital, data driven world. Over the years, we've seen our clients' cyber risk priorities evolve from information security to a more holistic focus on digital risk. Our Digital Trust Insights explores how today's leaders can meet tomorrow's challenges across digital issues, including cybersecurity, privacy, and data ethics. We believe that those companies that show the connected world how to lead on safety, security, reliability, data privacy, and ethics will be the titans of tomorrow." About PwC Cybersecurity and Privacy: The cyber risk landscape has evolved considerably over the years and is now increasingly focused on how organizations manage digital risk. At PwC our global Cybersecurity and Privacy practice helps clients think more broadly about cybersecurity and privacy and move boldly toward new possibilities around building a secure digital society, both now and in the future.